Parker Law Firm is proud to announce three academic scholarships available for Hurst-Euless-Bedford School District seniors who are preparing to go to college and, eventually, into the world to make a difference. The 2018/2019 scholarship application period has begun and runs through April 17th. 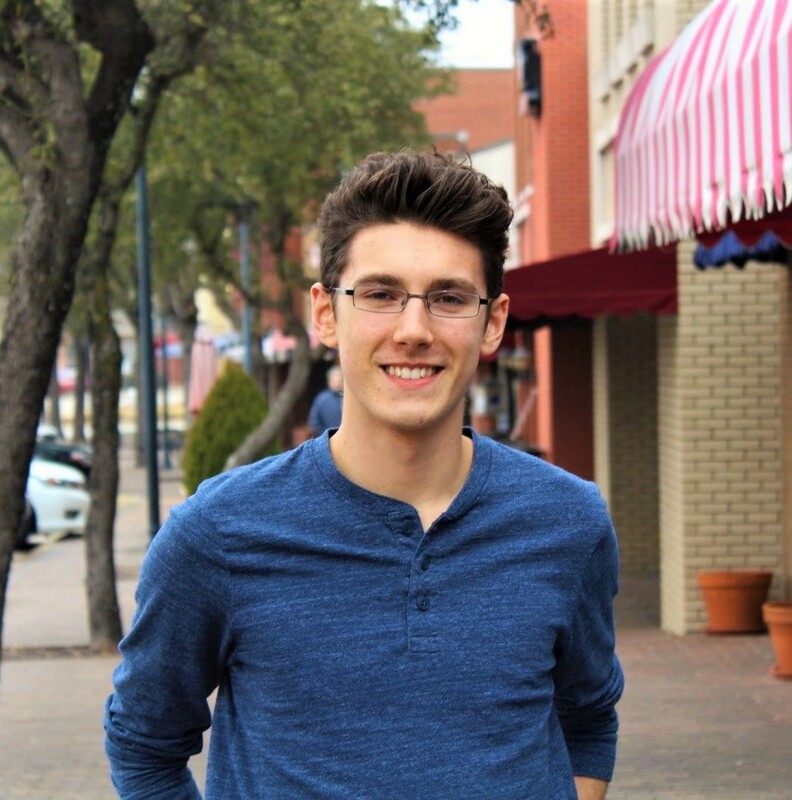 Last year, Colin Williams received one of the scholarships after beginning his essay with, "Education is not just about finding one piece of information we set out to learn. In my experience, it has been more about having a willingness to embrace the unexpected twists and turns along the way. Throughout high school, I have done my best to take part in this unpredictable path of learning." "When I was accepted into the UT McCombs School of Business, I was thrilled. However, there was no way my family could pay the full price. I filled out countless scholarship applications and received a few awards, but the generosity of the Parker Law Firm was the last chunk of aid I needed to get to my dream school. Now that I'm here, I'm interning with a tech startup, attending classes in a top 10 business school, and making memories I would never have if I settled for my second choice university. I'm endlessly grateful for the Parker Law Firm Scholarship because it helped me to bust through the obstacles that were keeping me from my goals." Please complete the Parker Law Firm Scholarship form located on this page. Write an essay about a time when you saw an injustice and took steps to correct the situation or help the person. Perhaps you stood up for someone who was being bullied or helped a community without access to fresh vegetables build a garden? Maybe you worked to make a park more accessible for kids in wheelchairs or helped a student from a different culture understand a local custom? Write a minimum of 500 words on what you are doing to make the world a more just place. Applicant must be enrolled as a 2017-18 high school senior at either of the following schools: Euless Trinity High School, Lawrence D. Bell High School or KEYS*. Applicant must plan to attend a two or four-year college or university. Applicant essay must be EMAILED to [email protected] in a PDF format, with "Scholarship application and Your Name" in the subject line and a file name of firstname_lastname_plf.pdf. Applicant must submit April 17th. Parker Law Firm will award up to three $500 scholarships. Write an essay about a time when you saw an injustice and took steps to correct the situation or help the person. Perhaps you stood up for someone who was being bullied or helped a community without access to fresh vegetables build a garden? Maybe you worked to make a park more accessible for kids in wheelchairs or helped a student from a different culture understand a local custom? Write a minimum of 500 words on what you are doing to make the world a more just place. Applicant essay must be EMAILED to [email protected] in a PDF format, with "Scholarship application and Your Name" in the subject line and a file name of firstname_lastname_plf.pdf.